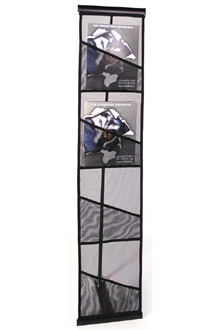 Alaska Display can outfit you with feather flags, outdoor or indoor banners, easels for large and small signage, custom banner stands and a variety of attention getting products. 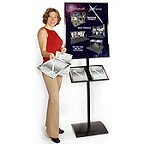 For portable presentations, aluminum legs, metal heads; will hold up to 5 lbs. 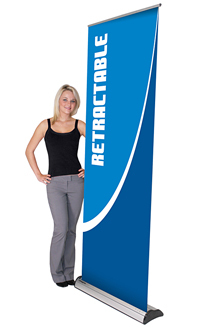 This unit folds to a 'brief case' size which is perfect for tradeshow displays. 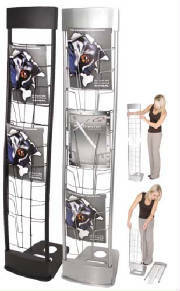 A fast-folding rack with four front facing pockets. This unit may be pre-loaded and collapsed for easy transport. This is a slim and attractive 5 front facing pocket unit. This unit has a 'snap-together' design for easy installation. 31" x 17" x 5"
Stylish and practical with a modular design which allows packing the unit into three separate parts for reduced shipping size. Carrying bag included. 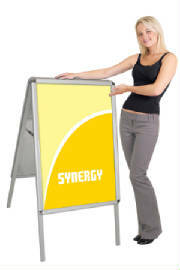 34" x 12" x 9"
This double sided sign board accepts 23.25" w x 33" h graphics or posters. 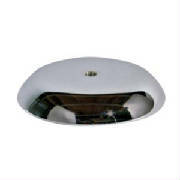 This unit is designed for indoor or outdoor use. Construction is of aluminum components. 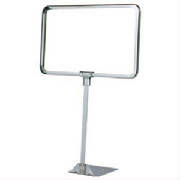 A popular, widely used metal floor standing bulletin sign holder. Versatile for all types of business. 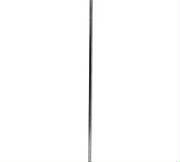 Flat Base: 10" x 14"
Option to the above bulletin sign holder, just as popular and widely used metal standing bulletin sign holder. Metal channel chrome sign/card holder for clear acrylic. Available is several sizes. 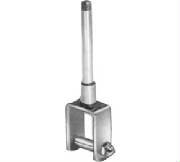 Clamp will fasten securely to square and rectangular tubing. 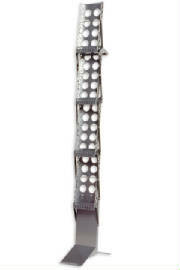 Made of metal construction riveted for outstanding strength. This easel comes fully assembled and folds flat for easy storage. Also, adjustable sign holders, rubber tipped legs. 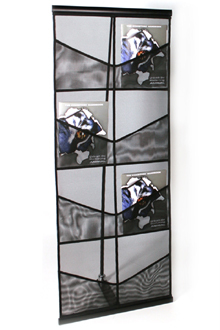 This collapsible literature rack is a single unit with 6 pockets and packs away for easy transportation. 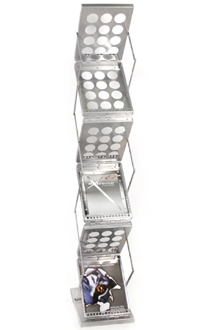 This unit is a 20-pocket holder for 8.5" x 11" material. 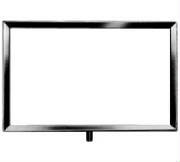 Also, may be used as a wallmount unit in addition to the 'freestanding' style. 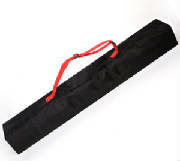 This carry bag allows the unit protection and travels easily from one location to another. 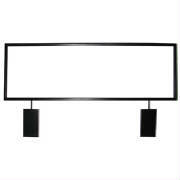 See "Contender" Standard - Banner Stand below. 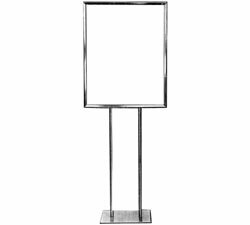 Banner Stand: Retractable "Contender Standard"
This unit offers a strong construction combined with a sleek and ergonomic appearance. Carrying bag included, as shown. Please view various sizes and formats below. 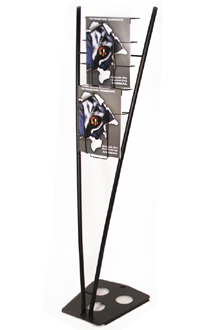 Poster Framing System: Tappa "Snap Edge"
Snap open from the front for quick and easy graphic changes and comes with a clear protective lens. 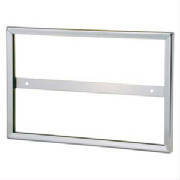 This system features a set of spring-loaded aluminum extrusions mounted to a high-impact polystyrene backer. 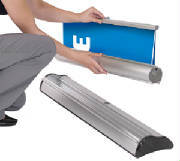 The magnets strips are mounted on the back side; attaches firmly to most metal surfaces. 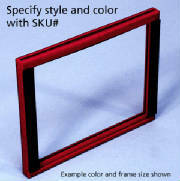 Includes (attached) two 1.5" x 5" magnetic strips per frame. 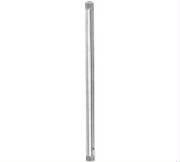 Fits round, square and rectangular tubing and has swedged fitting for sign holder. The square end gives a secure fit on hangrails, racks so the sign does not rotate. The round stems taper at the end to form a square. 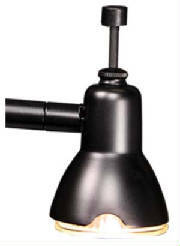 50 watt, low voltage spotlight with single 'goose neck' arm. 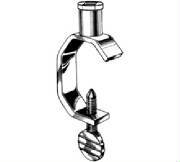 Mount standard with Universal Light Clamp Kit. 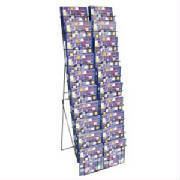 An easy to use roll-up mesh literature 8-pocket rack which assembles in seconds. Unit holds 8.5" x 11" h literature. View of the unit's single-sided cassette feature for storing the graphic unit. View full extended unit below. 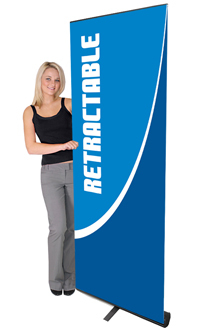 A premium, single-sided cassette banner with many attractive features: graphic tensioner, anti-slip strips along the base unit, integrated pole storage and a telescopic pole. EVA molded carrying/storage bag included. 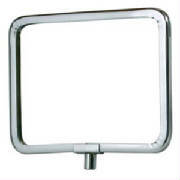 High-tech curved signholder with attractive curved lines. 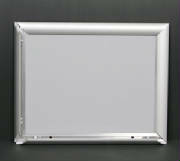 Protective non-glare overlay for protection and clarity sign displays. This unit comes in a matte black finish; this unit is shipped in a 'knock-down' unit; setup time of about two minutes and ready to use. 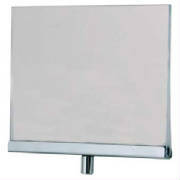 Chrome finish sign holder which may be used with upright and base for counter or floor. 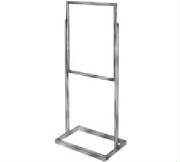 Can also be used with stem to attach to rack or merchandiser. Mitered corners; may be mounted vertically or horizontally. 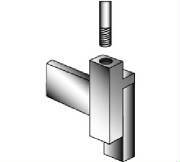 This stem is threaded at both ends and is used with all sign holders containing a 3/8" fitting. 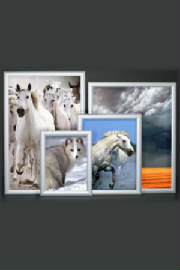 Great for interior or exterior promotions, available in four sizes. Basic sale, grand opening, and cannibus leaf flags in stock in Anchorage or order a custom single or double sided flag with your own design.